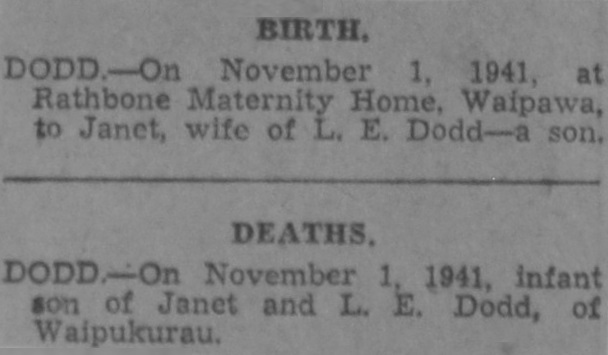 On November 1, 1941, at Rathbone Maternity Home, Waipawa, to Janet, wife of L.E. Dodd – a son. 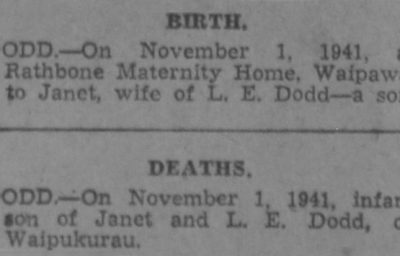 On November 1, 1941, infant son of Janet and L.E. Dodd, of Waipukurau.